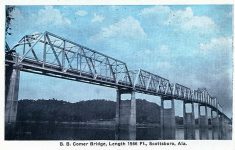 The first toll bridge in Alabama to be officially dedicated was the John Turner Milner Bridge, located at Cochrane, in Pickens County, Alabama. 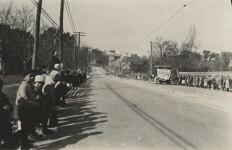 The dedication took place in the forenoon of Thursday, December 12, 1929. 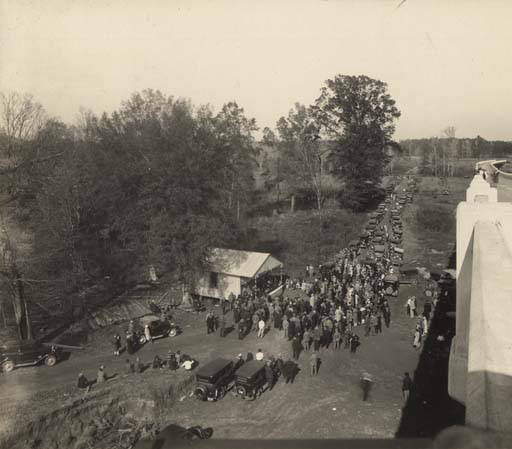 Crowd gathered for the dedication of the John T. Milner Bridge in Cochrane, Alabama. 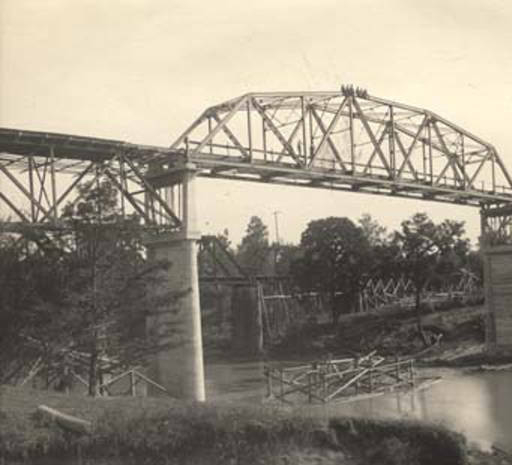 The Milner Bridge was presented to Judge Woolsey Finnell, President of the Alabama Bridge Corporation, by the contractors, Hampton, Kinniard and Hampton. 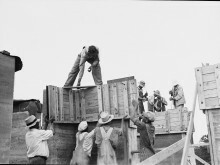 Lieutenant-Governor W. C. Davis felicitated the Corporation upon the happy results of the bill which the Legislature had passed. An address on the life and achievements of Col. John T. Milner, Industrialist, was made by Gen. R. S. Steiner, Col. Milner’s daughter, Mrs. C. P. Orr, unveiled the name tablet. Hon. 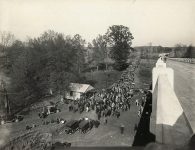 B. C. Robinson, Probate Judge of Pickens County, presided over the exercises which were concluded by elaborate hospitalities. 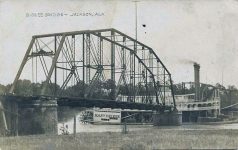 The John T. Milner Bridge at Cochrane, Alabama, spanning the Tombigbee River, is located in a section of Alabama rich in history. 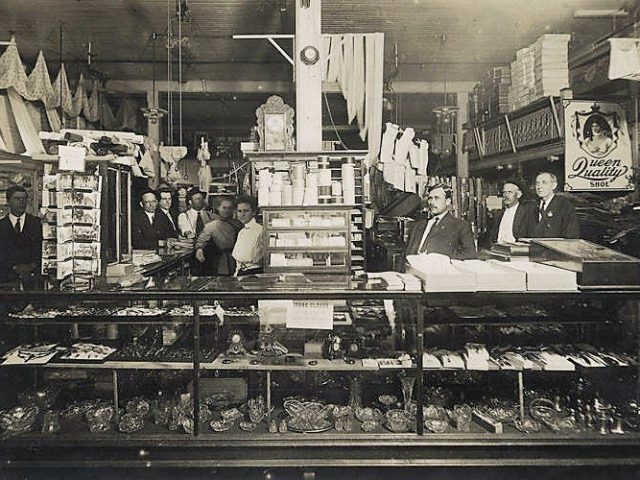 Pickens County has existed as a County unit for more than 100 years, having been created by an Act of the Legislature, December 19, 1820. The County bears the name of Gen Andrew Pickens of South Carolina, who won renown in the Revolutionary War. 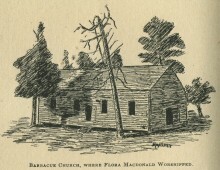 The first court in the county was held in the residence of Jacob Danby near the present town of Pickensville, which later became the first County seat, that honor, however, passing to Carrollton in 1830. 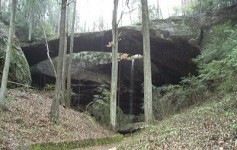 Pickens County is situated within the domain claimed by the Choctaw Indians; its northern boundary line being in fact the boundary line between the Choctaw and the Chickasaw country. 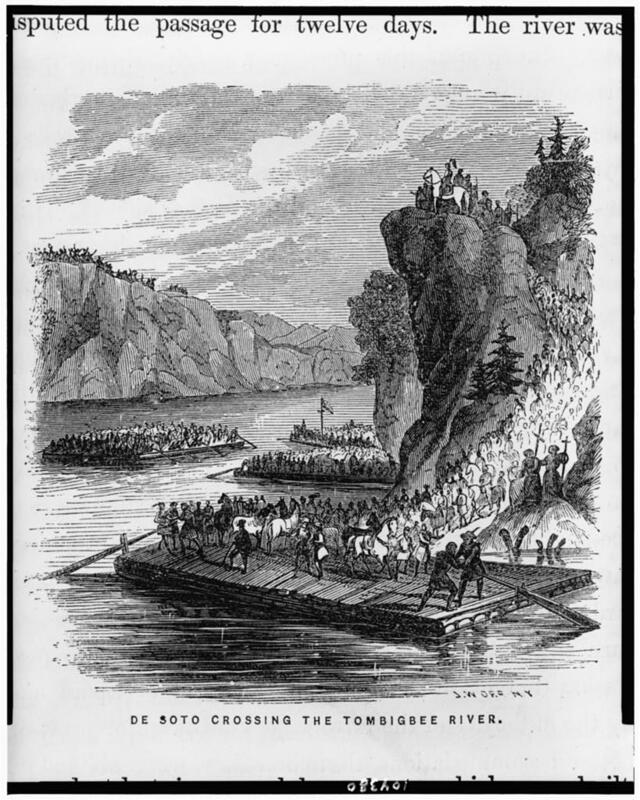 DeSoto in his travels through Alabama visited some of the Indian villages near the confluence of the Sipsey and Tombigbee Rivers. 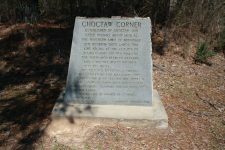 The area, while claimed by the Choctaws, was really a part of the great neutral hunting ground established in prehistoric days and frequented in hunting seasons by the Choctaws, Chickasaws and Creeks. Along the Tombigbee River are found several Indian mounds and town sites. DeSoto passed through the county in the winter of 1540 after the great battle with Tuscaloosa at Mauvilla. The Spaniards found the territory thickly peopled and an abundance of maize on which to sustain their army. 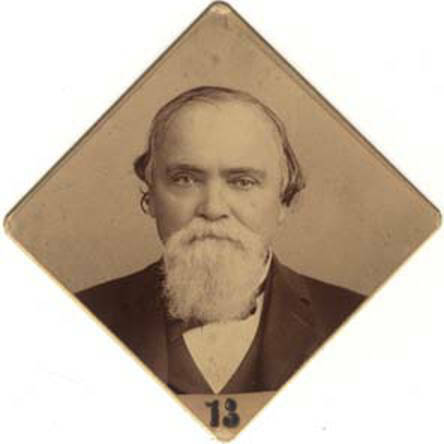 The first white settler in the county was Josiah Tilly, a native of North Carolina, later become a trader among the Choctaws. The second settler was Jonathan York whose daughter, Catherine, was the first white child born in the county. 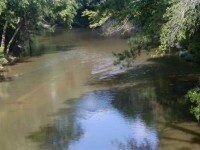 The Tombigbee River is one of the main branches of the Alabama Tombigbee River system. 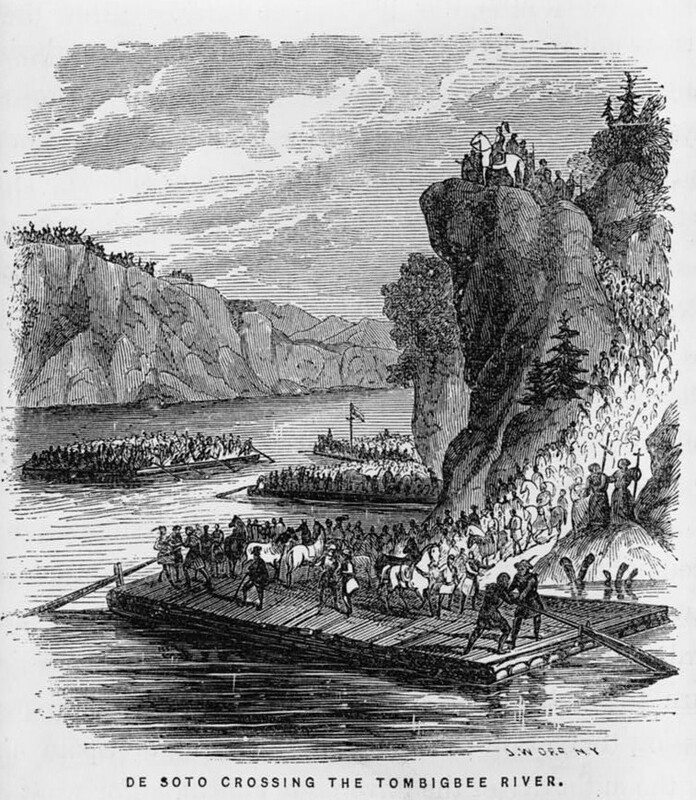 The name was originally “EtembaIgaby,” given to one of the contributory creeks forming the river, the designation being made by the Indians owing to the fact that upon the banks of that creek lived the “box maker” whose business it was to make the boxes into which the Indians placed the bones of their dead. 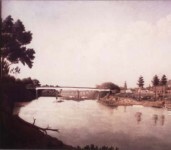 The name of the creek was called by the French who visited that section in the early part of the eighteenth century “Tombeekbe.” The Americans who followed the French finally gave the name “Tombigbee” to the river itself. 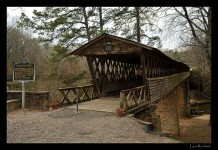 This might have been the first toll bridge for automobiles. There were plenty of other toll bridges around before this one.